* Support WIM, VMDK, VHD, VDI files. * Support disk image file with FAT/NTFS/EXT partitions. * Some minor bug fixes and improvements. 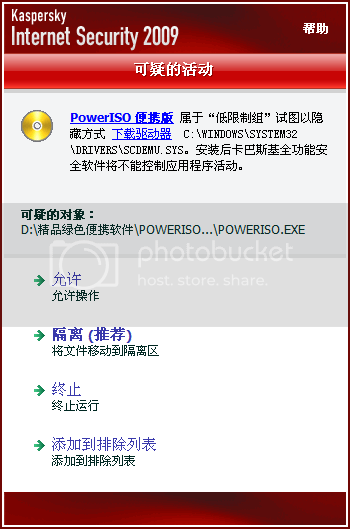 老大, 电脑管家报毒, 是真的还是误报?病毒文件: PowerISO_4.5_PortableSoft.rar病毒名称: Win32.Virus.Agent.bwks谢谢回复!